Here is the great opportunity to learn from the real Pro. My mentors in 2008, Top 10 Wedding Photographers in the World, Alisha and Brook are having their A+B School Workshop again in their studio in Santa Cruz. 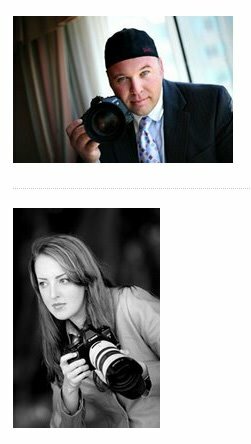 They are going to share how they have developed their strengths, promoted their brand and made it on American Photo's list: Top 10 Wedding Photographers in the World. Plus you get to shoot side by side with them for a live photo shoot with their actual client. I cannot express in words how much I wanted to thank them after I attended their small group workshop last yr. 1 yr ago, I was still struggling with my pricing and branding and I got so inspired by their workshop. I particularly like the 1-on-1 consulting part that helped me on my pricing structure and work flow. They just made my career path so much easier. For all my photographer blog readers here, I here highly highly recommend Alisha and Brook's A+B workshop .